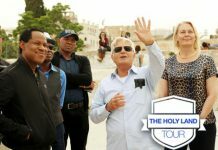 As Pastor Chris said: “Every Christian in the world must love Israel because loving Israel is loving Jesus”. 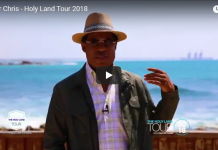 This week, Pastor Chris Oyakhilome is holding his annual tour in the Holy Land. 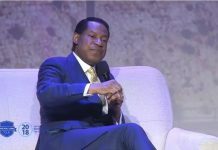 This year is an exceptionally special year to have the visit as it is announced to be the year of the Supernatural in the Christ Embassy Church. There are many reasons to celebrate, as this year and week is filled with miraculous events. Firstly, this year marks the 70th anniversary of the Declaration of Independence for the Jewish Land. Additionally, this week is the date in which the US moves it’s embassy to the official capital of Israel, Jerusalem. God’s glory did not stop there, after 20 years Israel won the prestigious Eurovision award. This music competition is one of the largest and most popular in the region and the world. Netta Barzilai won first place with the catchy song “Toy”. This indeed reinforces the declaration of this year as Supernatural. It is clear that God is with Israel and it’s people.